"Vanilla Test Automation Framework For Agile Development And Testing"
Vanilla test automation framework for agile development and testing has taken an importance in automation industry as it provides a clean, time-tested, well-defined and convention-over-configuration enabled test automation framework to reduce the learning time needed for its understanding. The new vanilla web app development has helped firms to overcome the challenges in writing and maintaining good test automation frameworks. This whitepaper is recommended for web application test automation engineers and automation teams that depend on the output and efficiency of their test automation to make important decisions. The whitepaper details the Vanilla implementation approach for test automation framework, which caters to testing a majority of requirements. 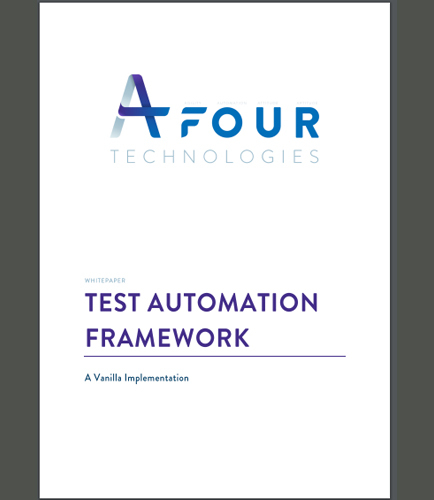 Download this free whitepaper to learn more about what the common problems with traditional test automation framework are. What are the benefits of vanilla automation framework?